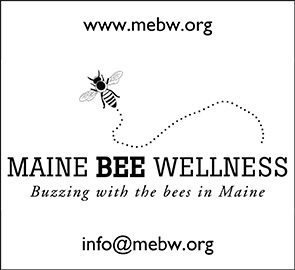 • Have you renewed you Maine State Beekeepers Membership for the year? • Feed protein supplements (pollen substitute) for brood production to hives colonies that you are planning to split. Make sure they have sufficient honey stores, they will go through stores much more rapidly as they engage in brood rearing. • If you are new to beekeeping, go ask questions at your local bee club meeting. If you know a thing or two, go to the same meeting and give words of wisdom to the “NewBees”. • Don’t bludgeon yourself eternally if you find or suspect your bees to be dead; take a deep breath, read Tony’s Feb/Mar 2011 Bee Line article, “When Disaster Strikes,” determine the (possible) cause, and learn for next season. This monthly post is adapted from “The Beekeepers Calendar, A Year In The Apiary-Central Maine” by Tony Jadczak, Maine State Apiarist, from a few years ago.